The HomeFire Shop Guide To Owning and Using A Wood Burning Stove. How to reduce heating bills by up to 90%. 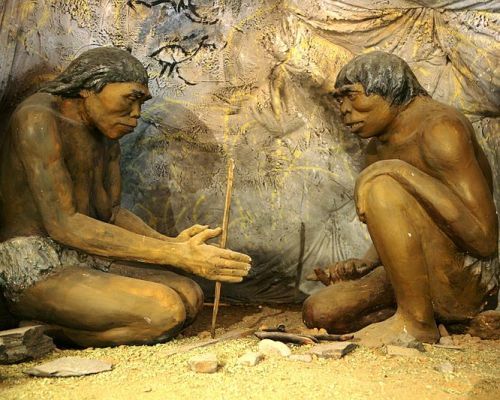 Making a fire for keeping warm is probably mans first technological invention, and burning wood is the oldest method we have of heating our homes. 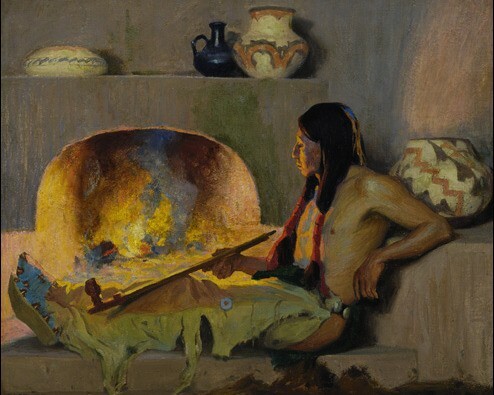 After thousands of years of fire making, we think we've figured out the cleanest and most efficient way to heat our homes by burning wood is to use a wood burning stove. 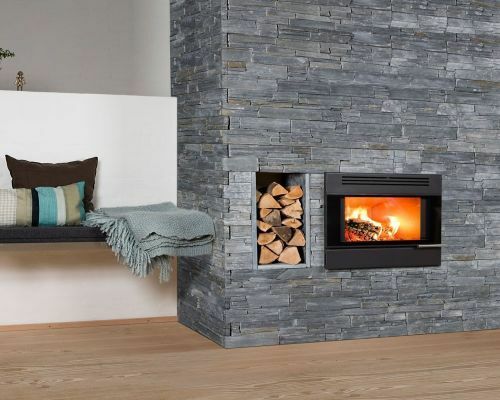 Select the right wood burning stove for your needs. 77% cheaper per kilowatt-hour (KWh) to run than an electric fire. 29% cheaper than a gas fire. Between 43% and 50% cheaper than an LPG (Calor Gas) fire. That is if you are buying wood to fuel your stove. By sourcing and seasoning your own wood you can reduce your home heating bill by up to 90% compared to gas or electric powered heating. 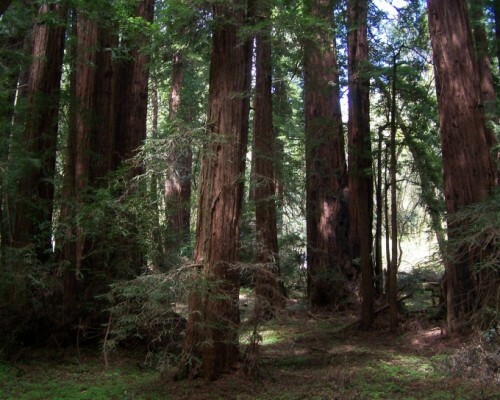 Wood is also one of the most environmentally friendly fuels that can be used, it is a virtually carbon-neutral, sustainable and renewable energy. But if you don't use your Wood Burning Stove properly it can be an expensive, inefficient and dangerous way to heat your home. 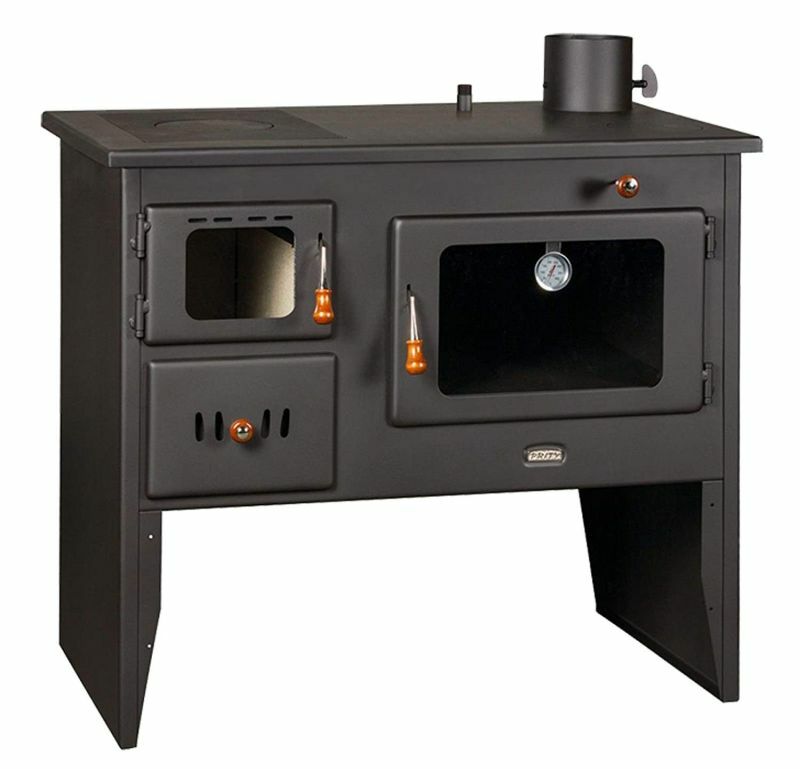 A wood burning stove is a live fire in a metal box inside your home. Set fire to wood and it burns with oxygen to give off heat and the mixture of waste particles and noxious gases we call smoke. A wonderful sight safely behind the glass door of your stove. 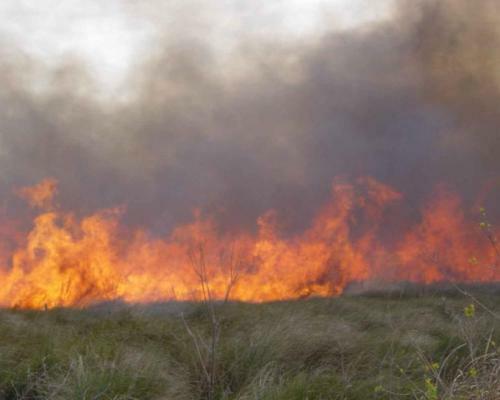 Outside, the burning wood uses oxygen from the air around it and the smoke blows away in the wind. Inside we need to control the air supply and waste gases because a fire takes the oxygen from the air, it needs a constant supply of fresh air to avoid suffocating us, we call this ventilation. The smoke will poison us unless it is safely removed, we call this flueing. Because the fire takes the oxygen from the air, it needs a constant supply of fresh air to avoid suffocating us, we call this ventilation. Wood Burning Stoves a live fire in your home. Wood is a chemical compound made up of roughly 50 ±3% Carbon, 6 ±1% Hydrogen, and 44±3% Oxygen, with a sprinkling of other chemicals which when heated form inorganic ash. To burn wood we heat it and mix it with oxygen then it undergoes dramatic changes. If burnt completely wood is converted to carbon dioxide, water and a small amount of ash, there is no smoke and no harmful emissions. However wood is rarely burnt this effectively and as a result, it gives off smoke. Smoke is a combination of over 100 chemical compounds, many very harmful to us including carbon monoxide and nitrogen oxides. The smoke also contains tiny bits of ash and hydro-carbons called particulates, which can irritate our lungs. The other waste product produced is condensed smoke called creosote (the black sticky stuff lining your chimney or flue), creosote is flammable and once on fire burns at about 2000° C, if creosote build ups in a chimney or flue and catches fire, it can be extremely serious. #chimneyfire. Burning wood needs oxygen, you need to breathe oxygen, both you and the stove get your oxygen from the air in the room. 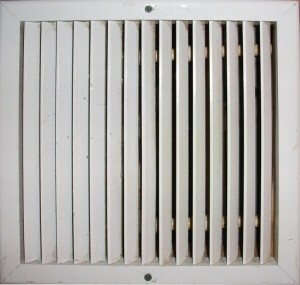 Ventilation is the way fresh air is supplied to the fire. As the oxygen in the air becomes depleted. The combustion process, deprived of sufficient oxygen, becomes incomplete and large quantities of carbon monoxide (CO) will be produced, present in even very small quantities CO can be lethal. Eventually, the stove will use up all of the oxygen, and if you haven't already died of carbon monoxide poisoning you will suffocate and die. The oxygen in approx' 16 m3 of air is needed to burn one kg of well-seasoned wood in your stove. That's about half of the air in an average room (3.5m x 3.5m x 3m). 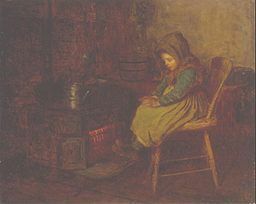 In older houses, which tend to be draughty, government regulations advise that no extra ventilation is required in wood burning stoves of 5kW or less. In houses built after 2008 (more airtight so less draughty) the ventilation requirements are based on the 'air permeability test' which measures 'uncontrolled ventilation' (a technical term for draughtiness). (If the test result is 5m³/h.m² or less you will need an air vent of 5.5cm² for every kW of heat with no lower limit eg:- a one kW stove will need a 5.5cm² vent a 5 kW stove will need a 27.5cm² vent (section 2 table 1 of Building Regulations Approved document J). Regardless of the fact that 90% + of UK homes installing a Wood Burning Stove of 5Kw or less legally do not require a vent, The Home Fire Shop advise that for safety issues you install a vent of at least 10cm² in any room where you are using a Wood Burning Stove. Modern Wood Burning Stoves are designed to safely remove waste gases and smoke using a large pipe called a flue. This can be inserted inside the existing chimney, fitted on an outside wall or piped up through the roof. 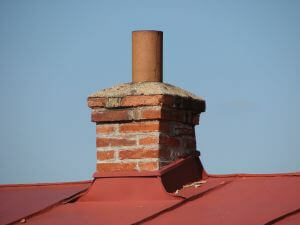 If using an existing chimney it will have to be swept and inspected for blockages and any defects. You need to select the right kind and size of flue for your stove and know how to fit it correctly. 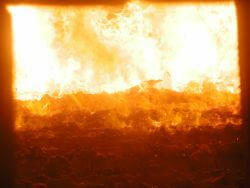 Unburnt fuel, water, waste gases and particulates all combine to cause smoke which has to be vented away from your home. Move all the smoke outside. Vent without setting fire to your home. Prevent condensation of water vapour. Prevent smoke spilling into the room. For every Kilogram of wood burned the flue has to move, along with the waste gases and smoke, approximately two cubic meters of water vapour and eight cubic meters of nitrogen, up and out of your home. A stoves flue should always exit higher than the roof of your home, this is because it uses the warm air travelling upwards to pull cold air into the burner from below. A flue exit sited too low can result in the smoke from the stove being trapped in the flue and backing up into the room (spillage). The hotter the waste gases & smoke the faster they rise in the flue, the cooler they are the slower they will rise, if cooled enough, they stop rising and the smoke spills back into the room. The flue gases must be kept as hot as possible, but new energy-efficient appliances extract as much heat as possible from the stove resulting in cooler smoke. To deal with this your flue must have high insulating characteristics to keep the smoke as warm as possible, fast travelling smoke will also prevent the inside of your chimney flue overheating reducing the risk of chimney fires. The critical flue temperature is 121°C (250°C ). If the flue falls below this temperature creosote will start to condense out of the smoke onto the flue. As water vapour is produced by burning wood (2m3 per Kg), condensation in the flue is an issue. If the flue is properly insulated it will keep the heat inside and the heated water vapour will pass harmlessly up the flue. But if it cools below its dew point (40ºC) water will condense in the flue. Class 1:- Those with a Brick Stack above the roof and are about 7 inches in diameter. Pre 1964 Houses usually have class 1 brick-built unlined chimneys, these can leak smoke into the house and have lots of ledges, nooks & crannies for creosote to build up in, increasing the risk of chimney fires. 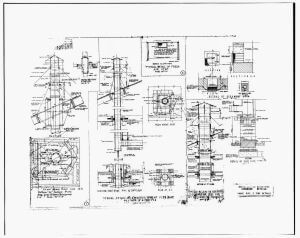 We advise that all pre-1964 chimneys should be lined with a flue insert. Post-1964 Houses usually have a concrete lining, some may even have steel inserts but will still be about 7 inches in diameter. If you are planning on using a class 1 chimney as a flue, it must be swept first and then thoroughly inspected. Even if the concrete lining looks intact to the naked eye, it's been sitting there for 40 years or so and when you start venting hot gases cracks can open up and bits fall off leading to leaks and possible fire. Class 2:- Used in either an older house, where the existing chimney has been lined by a steel flue or a newer house with a steel flue built-in. This chimney type has a 5” diameter flue and a steel flue terminal. These must be cleaned then inspected for cracks, holes and gaps before using, if they are faulty then a new flue must be run. Pre-cast flues:- This is a rectangularly shaped flue that is built into the cavity wall construction as the house is being built. The roof vent would be either a box-shaped ridge tile or possibly a small diameter stainless steel flue and terminal which protrudes above the roof. These must never be used for solid fuel fires (precast flues will only tolerate operating temperatures up to 250°C, whilst solid fuel burns at 450+°C.). If you have a pre-cast cast flue you must seek professional advice and have it inspected to see if it is possible to use a liner or if a new flue has to be run. It is best to have your chimney professionally evaluated by a HETAS registered engineer to see if it is suitable for your stove or if it's necessary to use a flue. If you do not have a chimney, or do not wish to use your existing one a flue can be fitted to vent the wood burner through the roof or can be run up the outside of your building. We advise you always take the safe option and use a new flue liner in all older houses. WARNING DIY installation with a precast flue may result in your house catching fire, seek professional advice first. Modern wood burning stoves do not pour smoke into the room or throw sparks onto the floor. They are cleaner burning and more much more efficient at converting wood to heat than the old open wood fires. Having a wood burning stove and flue installed costs money, the first question people always ask us is. "Can I install a wood burning stove myself?" The answer is yes, but as you've seen from the sections on venting and flueing you should only attempt this if you know what you are doing, and are willing to get expert advice first. Otherwise, we don't recommend DIY, make a mistake and you may not find out until harm is done to yourself or others, or your house catches fire. This is why any work that affects an existing chimney such as installing a wood burning stove or making a new chimney is considered as building work and comes under the Building Regulations. Your local authority building control must be notified and they will inspect the installation and issue a certificate of compliance if the works are in accordance with the regulations. The government have issued 'Approved Document J - Combustion appliances and Fuel Storage systems' which you can read here, it explains how to comply with the Building Regulations. These are the things to consider before choosing your stove. When choosing a Wood Burning Stove, it's important to select one that's the right size for the space to be heated. Too big and you will have a smokey smouldering fire which wastes fuel, too small and no matter how much fuel you put on it, it will not be able to heat your space properly. You can find out what heat output you need for your space with the calculators on our Heating Costs page. The traditional basic wood burning stove such as our best budget buy, The FoxHunter, loses some efficiency (amount of fuel turned to heat) by producing smoke, which consists mainly of unburnt combustion products. More advanced stoves use some clever technology to increase efficency by burning off some of the chemicals in the smoke. The following types of wood burning stoves all have ways of burning some of the products that form the smoke. Waste combustion gases often have both oxygen and fuel remaining, by introducing a catalyst at the top of the burner as the gases enter the flue the gases are relit, this effectively burns the smoke, reducing emissions and increasing efficiency. The catalyst is usually a honeycomb insert placed in the flue entrance. They need to be replaced every 5 to 10 years. Because of the difficulty of replacing catalysts most modern wood burners have an integral secondary combustion chamber which mixes the exhaust gases with preheated fresh air to burn off otherwise wasted fuel. The end result is similar to the Catalytic wood burner, with much-reduced emissions and increased fuel efficiency. Usually called cleanburn. These are designed to work at a high temperature (1000°f + ) in order to burn any combustible gases and particulates produced by the stove resulting in cleaner emissions. This is done by forcing heated air into the stove over the fire providing a fresh source of oxygen to the already heated waste gases allowing them to burn off. Another benefit of this is that the funnelling of hot air towards the front of the wood burner keeps the glass doors clear which gives you a better view of the fire. This effect is sometimes called airwash. A typical example of this type of stove is our recommended 5 kW Clean burn stove the Saltfire ST2, as well as being DEFRA approved for use in smokeless zones it has an 81.3% efficiency rating. Wood Burner or Multi-fuel burner? 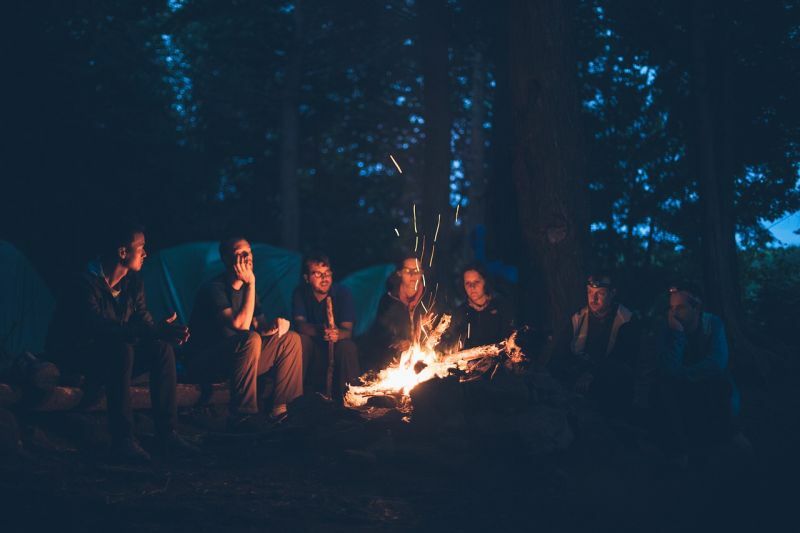 Multi-fuel burning stoves are designed to burn a variety of solid fuels, they can burn wood, smokeless fuels, briquettes, coal, coke, peat and turf. They differ from wood-burning stoves by having a raised grate with moving bars or a central riddling grate and ashpan. These allow for the removal of ash to maintain effective combustion conditions. Many wood burning stoves are engineered so they can be converted to multi-fuel burning stoves with the addition of a grate. The heat output of a multi-fuel stove is similar to that of a wood burning stove, the benefit is that as you can use a variety of fuels you can opt for the cheapest available at the time. When using other fuels it is wise to check that they comply with whatever clean air regulations are relevant in your area. Unless you are only ever intending to burn wood we would recommend keeping your fuel options open by getting a multi-fuel burning stove. Never burn plastics or household waste in a wood burning stove, plastics produce lethal gases, including cyanide, and burning household waste can cause residue buildups which increase the risk of flue fires or can block the flue completely. Sometimes running a flue is a little more complicated than it seems at first sight! A wood burning stove is a serious piece of kit, you are bringing a living fire into your home. Install it badly and at best you will fill your room with acrid choking smoke, at worse you will burn your house down and may cause serious harm to the occupants, even death, so please don't be tempted by stories of how easy it is to DIY. If you lack the skills or expertise don't attempt it, if someone offers to install it for you and they are not registered as a competent person, you can check the register here, then don't hire them. Use a professional who does this as their day job and has the necessary experience to install your wood burning stove correctly and safely. All HETAS engineers are on the competent person's register. If you do not use a HETAS engineer or are not registered with the Competent Person Scheme then you will have to notify your local authority before you commence work, submit a building notice or full plans application and pay a fee to have a Building Control Body come and inspect the work. Due to the dangers which can be caused by improper installation and the legal necessity of having a Certificate of compliance we recommend installation by a HETAS registered engineer. HETAS is the official body recognized by Government to approve biomass and solid fuel domestic heating appliances, fuels and services, including the registration of competent installers and servicing businesses. 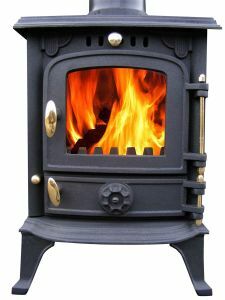 If you are uncertain about the type of Wood burning stove you need, or about siting it, then call for professional advice. Regulations require all wood burning stoves installed after April 2006 to have either a HETAS certificate or building regulation compliance. 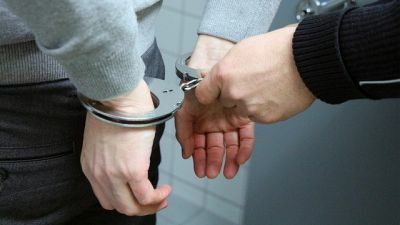 Failure to do so is an offence which can result in enforcement action being taken against the Householders and /or the installer. The result can be a fine of up to £5000, it can also invalidate your insurance and you will have difficulties selling your house without a Certificate of compliance for a wood burning stove installation. 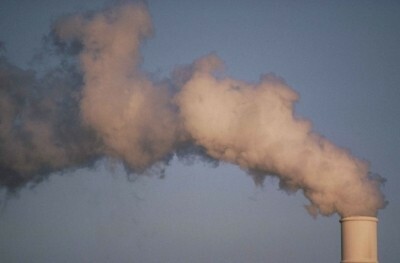 Some authorities have restrictions under the clean air act which control the emission of smoke. Before ordering your wood burning stove, check with your local authority to see what its policies are on solid fuel domestic fires. Legally Wood burning Stoves over 5 Kilowatts need an additional source of air (an air vent) to enable them to function properly, we recommended air vents are used as a safety precaution whatever the heat rating of your stove. If you are worried about droughts in the room, there are some models which are designed to draw in extra air from outside. 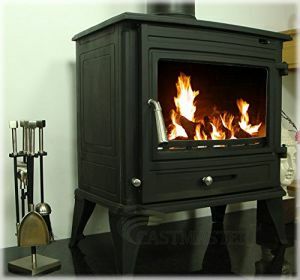 A basic 5kW multi-fuel burning cast iron stove will cost around £200 - £300 plus the cost of installation, there are no electrical components so it can be used safely in the event of a power cut. Mid-range models costing £300 - £800 should be clean burn and highly efficient (average 84% when burning properly dried wood) and well designed. 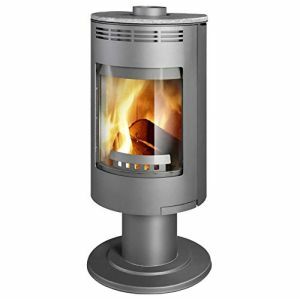 Lincsfire Harmston Compact 5.5kW stove. Modern ones should be DEFRA rated for use in smokeless zones, meaning they meet the highest standards for emission control. Expect to pay £1000+ for top range stylish contemporary designs such as the Danish Aduro and Slovakian Thorma range of stoves. These are made to the highest standards and have extensive guarantees. The Thorma Andorra 5kw stove pictured here costs about £750 plus installation costs. 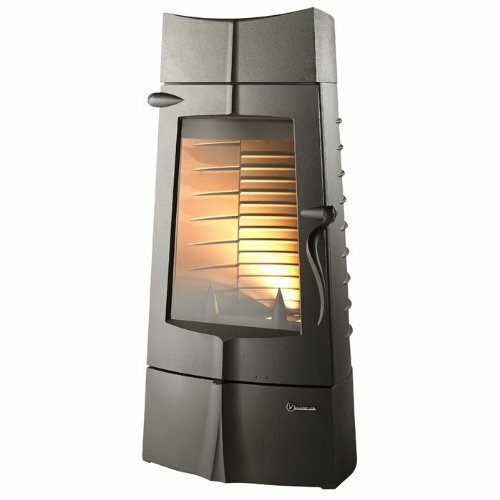 This one is steel with an 80% efficiency rating, is rotatable, has a concrete storage heater option and a 2-year guarantee. Some of the more expensive models have active fan extraction/ventilation systems which use electricity and would not be safe to use during a power cut. With top models expect extras such as remote controls, a variety of super-efficient & energy saving tech' as well as cutting-edge design. If you already have a suitable chimney and no additional building alterations are required, installation cost can be as little as £450 to install the stove in your hearth and run a flue up your chimney. If you don't have a chimney then installation can rise to as much as £1500. In England & Wales, this is deemed controlled works and will need a certificate of compliance which your HETAS engineer will supply. Wood (or other solid fuel) to burn in your stove: 1 cubic meter of wood (about 500 Kilogrammes) should keep a 5-kilowatt wood burning stove going for a couple of months. A pallet of high-quality kiln-dried hardwood should cost under £200 inclusive of VAT and delivery. Routine cleaning: Once a year a sweep of the flue or chimney is needed to prevent chimney fires by removing the creosote and soot build-up, this may mean hiring a chimney sweep once a year the cost should be well under £100. Maintenance: Emptying the ash pan and cleaning the exterior regularly costs virtually nothing, you can use a brush and pan or treat yourself to an ash vacuum cleaner which makes it easier and cleaner. With a cast iron stove you may want to use a graphite polish to preserve the silver black finish. Other costs: More expensive hi-tech models may use a small amount of electricity to run a fan and remote controls. People t.end the think that you can use any random pieces of scrap wood in Wood Burning Stoves and save money that way, this is wrong! It is tempting to use old bits of wood and builders debris to save money (after all it's free), but this can cause issues as painted and varnished wood gives off toxic fumes and causes build ups in the flue. Burning MDF, chipboard or other man-made boards causes flue gunk build up from the resins used to bond the wood fibres together, the smoke emitted also contains hydrochloric acid which attacks both steel flues and concrete chimney liners. 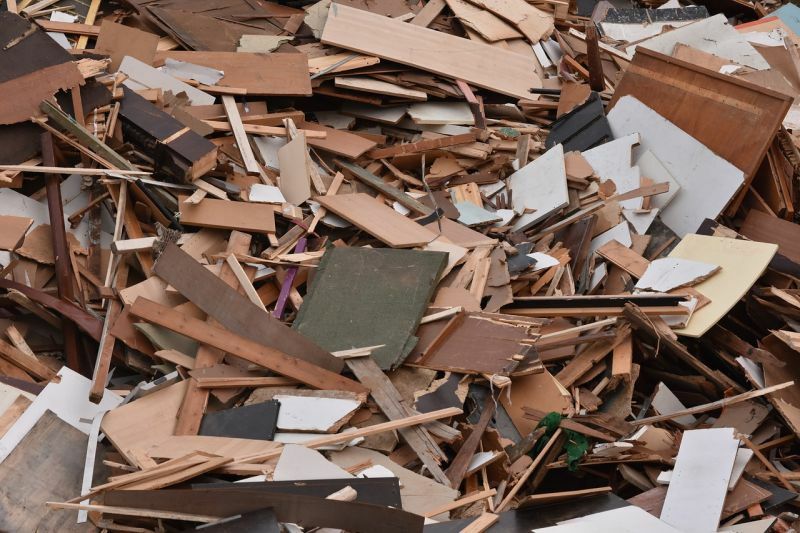 Waste wood scraps contain nails, staples and other bits of non-combustible scrap which can cause damage to the burner and harm you when cleaning out the stove. Bits of wood picked up from parks, woods etc... are full of moisture and unless dried out will not burn properly resulting in a smokey inefficient fire and lots of frustration for the user. It's the moisture content of wood that determines how much heat the fire puts out and how much creosote will build up in your flue! Burning unseasoned or green wood means boiling the water out of it before it starts to burn properly. Putting unseasoned wood into your wood burning stove is the same as pouring water in it while it is lit and has the same effect. 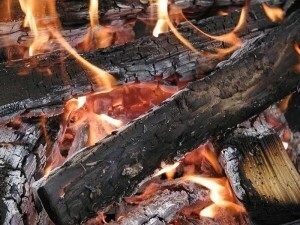 Unseasoned wood can have a moisture content of up to 90%, burning it will cut the efficiency of your wood burning stove by three-quarters and cause heavy creosote build up in the flue, creosote burns at about 2000° F. You do not want loads of this flammable goo stuck to the inside of your flue! 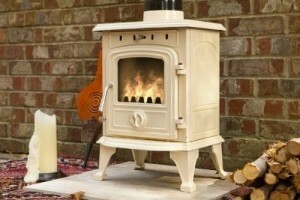 Using unseasoned wood takes all the pleasure out of using a wood burning stove; it's hard to light and goes out often. When lit it tends to smoulder giving off little heat, many people who complain about the disappointing performance of their wood burning stoves are doing so because they are using the wrong kind of wood. Dry seasoned wood with the moisture content below 20% is the only wood suitable for use in wood burning stoves. In order for a wood burner to work well you need to get a good hot ash bed, the wood then sits on the bed of hot ash and a chemical reaction takes place (Pyrolysis) which carbonises the wood (turns it to charcoal which burns to form the hot base) and releases flammable products such as Methane (CH4) Hydrogen gas (H2) and tars from the wood which in turn burn as flames and generate heat. 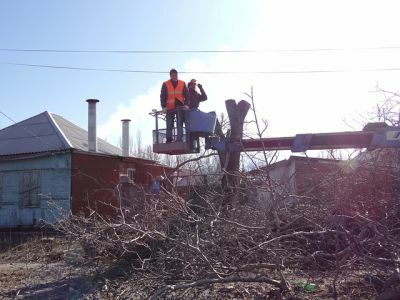 Once you have established a hot ash bed pyrolysis does not need much oxygen to get the wood hot enough to release flammable gases, these are gases that burn as flames and will need their own oxygen supply. Ensure the upper part of the fire has a good supply of air. Closing the upper (secondary) vent of the stove will result in incomplete combustion, the gases will not burn properly and will be deposited as soot and creosote inside your stove and flue, and of course, you will waste fuel and money. Manage these 3 things correctly and you will have a well working, clean-burning stove, which works at maximum efficiency. The temptation is to keep piling logs into your stove, this is not the best way to use is because Wood burning stoves are intended for intermittent combustion. This means that each stoking should burn down to embers before new logs are added. To obtain the best possible combustion, you should regulate the effect/heat output with the fuel. Burning small logs provides more powerful combustion than burning large logs as the surface area is greater and more gas is released. The amount of wood in the combustion chamber is another factor that affects combustion. The optimum combustion is achieved by placing two logs in the stove. If you want an enhanced effect, you can add more logs. The ideal heat output is reached by burning approx. 1.3 kg per hour (this will vary depending on the size of the firebox). The first few times the wood burning stove is used, there may be some smoke and unpleasant odours, which is fairly normal. This is caused by the heat-resistant paint hardening. Make sure there is sufficient ventilation during this stage. It is also important not to let the fire burn too fiercely the first 2-3 times so that the stove has time to expand slowly. 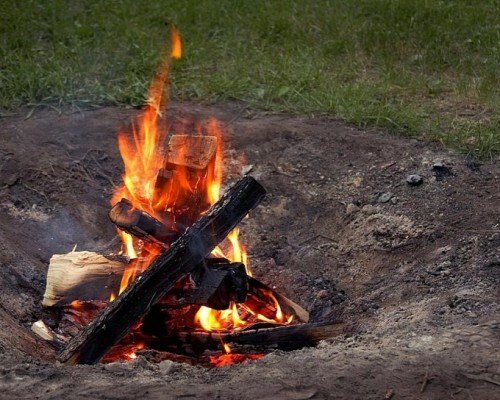 The fire lighting method is very important for starting combustion quickly and efficiently. 1. Open the primary damper at the bottom of the door and the secondary damper at the top of the door. are distinct, visible flames and the fire has taken hold, close the primary air intake/damper. For a slow long-lasting fire use hardwood, for a quick hot burning fire use softwood. As Hardwood burns slower than softwood it gives a more even burn and constant heat, another advantage of hardwood is it produces more ash, this aids pyrolysis. Even if you want a quick burning softwood fire, after kindling put down a layer of hardwood to build a nice hot ash bed, then feed it with softwood. For all types of fire use softwood kindling to start it as it burns faster than hardwood it is easier to get the fire started and up to heat. 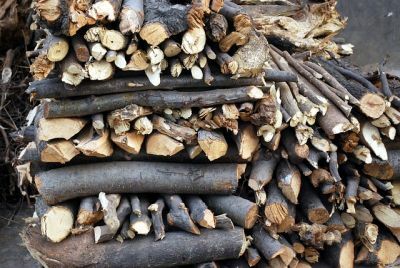 Layer your stove like this: Softwood kindling, then hardwood to build an ash bed, then feed with hardwood for an even burning slow fire, or feed with softwood for a quick burning hot fire. Hardwood in the UK is obtained from slow-growing broadleaf deciduous trees such as Oak, Ash Birch, Elm & Beech. Softwood comes from conifers such as Pine, Cedar, Spruce and Yew. It's worth getting to know your trees so when gathering you can sort out your woods into hard and soft piles. Good quality kiln-dried hardwood produces about 4.5KWh per Kilo, green or unseasoned wood produces about 1 KWh per Kilo. The cost of running your stove is the cost of the wood supply, sourcing free wood is the key to saving money. You need to gather and season your own wood, this needs to be done sensibly chopping down the trees in your local park for fuel is illegal. Sources of free wood are all around. The first place to look is your neighbours, let anyone with a garden know that if they are pruning trees you will remove the wood for free. Smaller pieces can be used for kindling, larger logs will form part of your wood store. When you see tree surgeons working, ask them for a few logs before they throw them in those giant shredders. If you can strike up a rapport with a local gardening company, you may be able to get a constant supply from them for free. Only glean for dead wood in your local parks or woodland after getting permission from landowners or relevant authorities as some councils and land management bodies have strict rules on removal of wood from their property. Water in wood is trapped in microscopic tubes, these need to be dried out, the quickest way to do this (and the most expensive) is to dry the wood in a kiln. The traditional (and free) way is to season wood by leaving outside and letting the wind penetrate the wood, chasing out the trapped water. Any wood you gather must be seasoned for at least 2 years, this is how long it takes to dry out properly, 1-year-old seasoned wood still has a significant moisture content. Find a suitable space in your garden or yard, the more exposed to the wind the better. 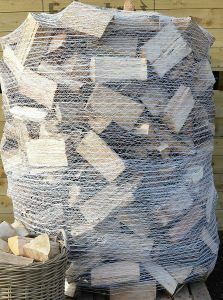 Your woodpile needs to be raised off the ground, a couple of builders pallets are ideal for the base, then stack the wood so it is end on to the wind, allowing the air to flow through it. Cover the stack to keep the rain off, another pallet or 2 resting on top will keep most of the rain off. It's the inside of the wood you need to dry, excess rain will run off the outside, do not use tarpaulin as it prevents the wood drying out properly. 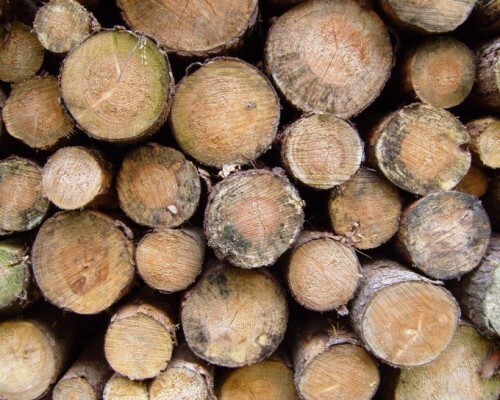 Tip: Split as much of the wood lengthways as you can, this exposes more of the water retaining tubes to the air and will help your wood to dry out more quickly. If you do this throughout the year, the wood will dry out naturally and when a cold snap comes you should have a nice supply of well-seasoned wood ready for your stove. At the end of year one start a second woodpile, at the end of year two woodpile no. 1 is ready for use. Use the empty woodpile to stack wood for year 4. For the first couple of years, unless you have access to a supply of seasoned wood use high-quality kiln-dried wood. 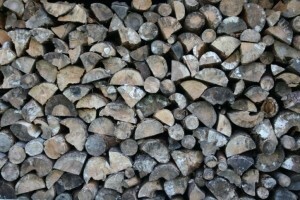 By the second year, you should be able to supplement your shop bought wood with your own and fuel costs will come down. Keep sourcing and seasoning wood and by the end of year two all you will be spending on fuel is the time taken to forage for wood. The Warpfive Mk6 looks great and works only from the heat of your stove. A really handy device which increases the heat circulation in your room is the highly innovative heat powered stove fans. These devices are a fan powered only by the heat from your stove, they sit on top of the stove and when warm they rotate circulating the warm air above your stove making the heat output feel more even in the room. A great idea which uses no electricity, works really well and most are silent. Models range in styles and price between £35 and £250. Although they all do the same thing manufacturers have worked different ways to use heat to drive the fan and to get better heat distribution. We found the best performing to be the ones with a 'Stirling' engine, some designs have an upper-temperature limit but the 'Stirling' engined ones easily work at the average stoves 450°C upper working temperature. Our personal favourite is the Stirling Engine, WARPFIVE MK6 (pictured) at just under £200 it is expensive, but this handcrafted British made little beauty shifts 350ft3 of warm air per minute, you leave your room door open and it helps to circulate warm air around the house. Have a look at A selection of Stove fans here. There is more you can do, the stove is only installed in one room, how about sharing the benefits of free fuelled heating to the rest of your house and how about hot water for bathing, washing dishes etc...? If you live in a cosy bungalow or flat one wood burning stove may be all you need. Using a heat driven stove fan, leaving the internal doors open and following the advice on our energy saving page will allow the heat from your wood burning stove to circulate around your home. However this is not practical in a 3 story house on a cold winters day, that's why went from open fires to central heating, one central boiler supplies heat to radiators that heat every room in the house. 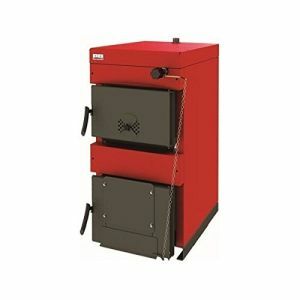 You can run your entire central heating and hot water system from your wood burning stove? Many stoves have back boilers and are designed to drive hot water central heating systems. We have a selection recommended stoves with back boilers here. There are plenty to chose from whatever your lifestyle. Over half of all solid fuel boilers in Europe use wood, most of the boilers we recommend come from established European manufacturers such as NES Ltd of Bulgaria, who have decades of expertise in making them. Traditional cast iron models such as the entry-level 8kw Castmaster Belvoir Stove Boiler priced at £499, the same price as a mid-range wood burning stove. It will provide 4kW of heat to the room and 8kW to the water system, enough to supply a 120-litre hot water tank and 4 medium radiators. High spec high powered dedicated boilers such as the BURNiT WBS range available in sizes from 20kW to 110kW (this will easily power the heating for a large family house). .AGA style range cookers which combine kitchen hobs and ovens, stoves and central heating boilers. A new AGA Rayburn supreme can heat up to 10 radiators and will cost around £3000, pre-owned ones are available for much less. Try Preloved for hassle and fee-free buying from other householders. There are cheaper alternatives and we have listed some in our Wood Burning Range Cooker section. We recommend contacting your local HEATAS engineer and asking them to have a look at your existing home heating setup. They will advise you on the best Wood burning stove boiler option for your home. If you follow our guide your main home heating will only cost you the time it takes to gather wood and you will see a reduction of up to 90% in heating energy bills. To give you a very rough idea of what size you may need you can follow these steps to calculate the heat output of radiators needed for each room, heat output is measured in British Thermal Units (BTU), 1kW of heat output = approx 3500 BTUs. How to calculate the size radiators you need. Measure the length, width and height of each room in feet. Multiply all three values to get the cubic footage of the space. For example, if you have a room that measures 12 feet long by 10 feet wide by 7 feet high, multiplying 12 by 10 by 7 produces 840 cubic feet. Then add the total of each room together and then add 20% to the total for a hot water circulating tank and 10% for general losses. This will give you the boiler size in BTU you need for your house. These calculations are approximate and while giving you an idea of the boiler size you will require, we advise getting this checked by the installer before you buy your boiler.